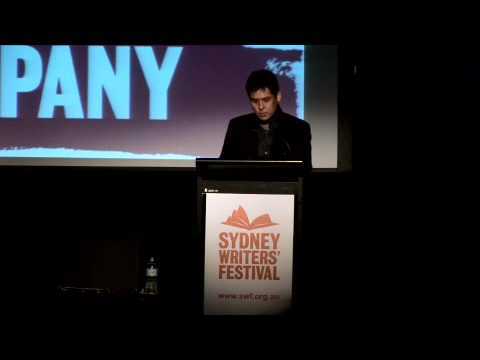 Adam Aitken is a poet, memoirist, academic and editor (with Kim Cheng Boey and Michelle Cahill) of Contemporary Asian Australian Poets (Puncher & Wattmann 2013). Born in London in 1960 to an Anglo-Australian father and a Thai mother, Adam spent his childhood in South-east Asia, before migrating to Australia where he graduated from the University of Sydney in 1982. In 1982 he spent six months living with his relatives and learning Thai in Bangkok. He was a co-editor of the poetry magazine P76, named after a failed Leyland car model, and for a time was associate poetry editor for Heat magazine. He has travelled widely, visiting Thailand, Malaysia, and Cambodia; his experiences overseas continue to inform his poetry. Aitken published his first collection, Letter to Marco Polo, in 1985. He has since published five further poetry collections, and his poems and short fiction have also been published widely in anthologies and literary journals. For some years he has taught narrative writing at the University of Technology, Sydney. In 2006 he obtained a PhD in creative writing. His poetry and prose have been widely anthologized. His words are also part of a bronze/wood installation, the Avenue of Nations sculpture at Centennial Park, Sydney. His most recent books of poetry are Eighth Habitation, which was shortlisted for the Adelaide Festival Award, and Tonto’s Revenge, (Tinfish Press, Hawai’i). His work appears in the Macquarie PEN Anthology of Australian Literature, Jacket2, Southerly, and in Life Writing. His book Eighth Habitation was shortlisted for the John Bray Award, and he was the Visiting Writer in Residence for Fall Semester, 2010 at the University of Hawaii. Adam first worked with The Red Room Company, writing the poem 'Costumes' for the Occasional Poetry project in 2007. In 2012 he was resident at the Australia Council’s Keesing Studio, Paris, and in Southern France, where he spent six months learning French and completing new work. His latest work is a memoir One Hundred Letters Home (Vagabond Press 2016). He currently researches reflective academic writing at the University of Technology Sydney.